In this blog, you can read what Linked Analysis is, what you can do with it and what added value it offers to you or your organization. So, what is Linked Analysis? Linked analysis is one way you and your team can dynamically interact with your data. 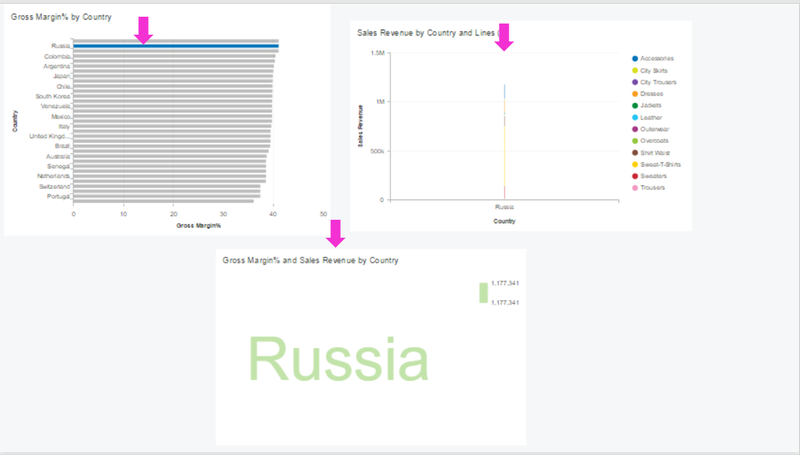 Linked analysis allows you to define the interaction between the charts in a story so that when you select the data points in one chart, it causes related data points to be filtered in the linked charts. When to use Linked Analysis? 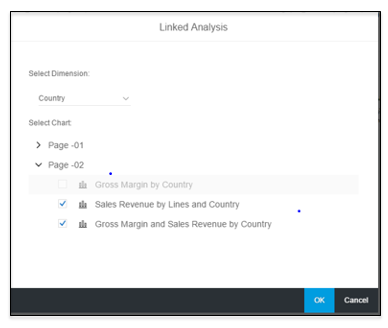 Linked analysis is useful for when you want to focus on a particular area of your business and see how other charts (based on all or specific dimensions) are affected. 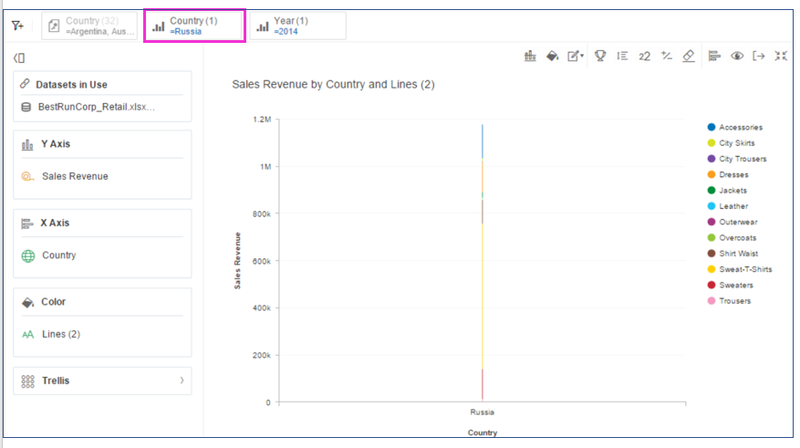 With linked analysis, when you select an element in the source chart, the same values are applied to the target charts included in the analysis. 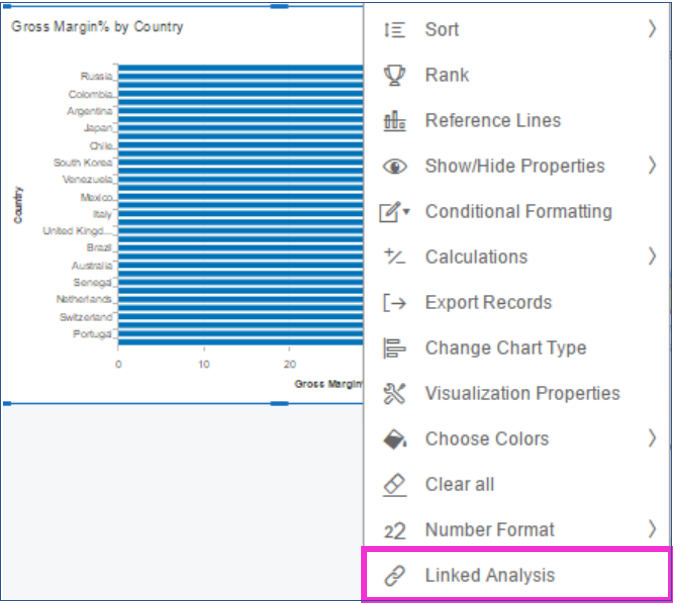 You can use linked analysis for charts that are based on the same dataset or for charts that are based on different datasets that contain linked dimensions. How to set up Linked analysis in Lumira Discovery? You can set this up using the Linked analysis option from the contextual menu. Select a dimension for the link. Select a page from Select Chart dropdown list and select the required chart. The chart interactions apply only to selected chart. In this example, you have 3 charts on the same page of a story. You want to apply linked analysis so that selection of data points (bars, bubbles, etc.) on one chart affects the other two charts. However, the actions that you perform on the second and third charts have no effect on each other or the first chart. Assume you have charts with different regions. Each region has a specific sales revenue, gross margin, and gross margin and sales revenue— each one represented by a different chart in the story. 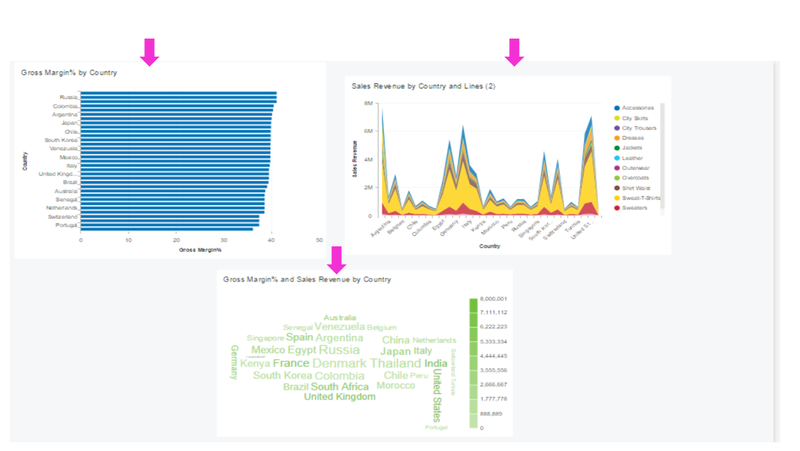 When you apply linked analysis to an individual region, you can isolate a particular region and the rest of the charts automatically filter to display data for that region only. Now, when you select a specific country (i.e. 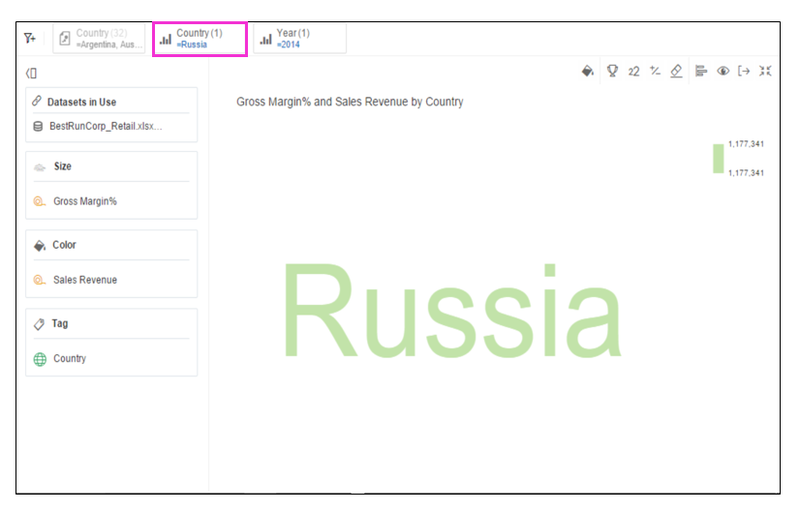 Russia) in the first chart the other two charts automatically update to show data only for that region. This is because the other two charts are filtered based on the selected country, i.e. Russia. At the top of second and third charts, you can see that the filters are applied. this is a very nice new Feature. But I was not successful in connecting a map with linked Analysis which would be one the most interesting Topics. Is this a bug, a not yet supported feature or am doing something wrong? Also the Linked Analysis is currently working always as “inclusive” – so all new selected items are added to the filter. So far I did not find any Option to configure this, so I could have this switching to the next entry I select instead of adding it? In general about Lumira 2.1 SP00 – I noticed some of Topics where things are not really working properly in the 2.1 SP00 Version. What would be the most effient way to adress product Feedback to SAP? Opening a OSS call is not an Option, I think. I tried this in the Lumira 2.1 SP00 version and it’s not working for me. Is there a limit of this working with certain charts or data sources? Quick update it seems to be related to the fact that my source (driving) chart was based on a hierarchy. Maybe that is the limitation?